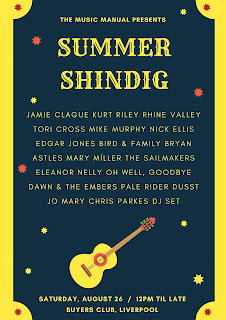 To celebrate five years of The Music Manual we will be hosting a good ole FREE Summer Shindig at the Buyers Club, Liverpool. With artists set to perform from 1pm, the day embrace all things wonderful about Liverpool's bustling music industry. Spread across two stages, the all-day event at the Buyers Club on Hardman Street, Liverpool will welcome in the Bank Holiday Weekend in style. 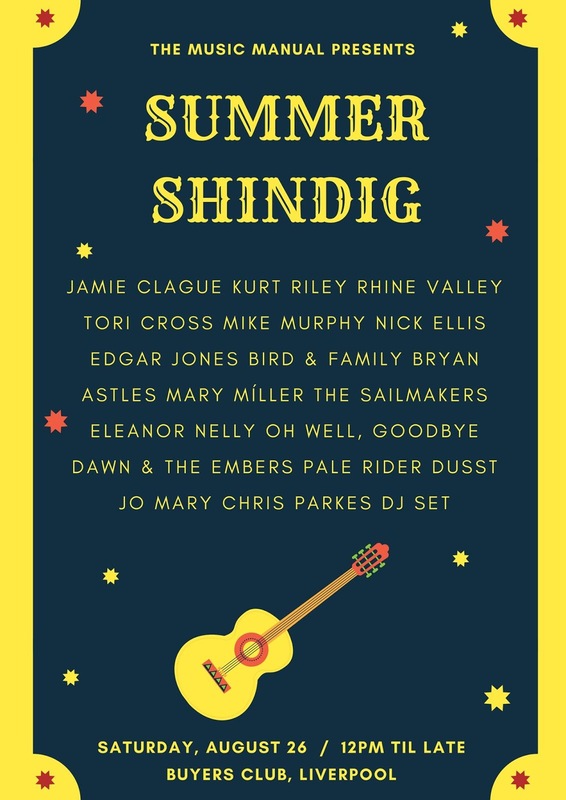 The acoustic stage will take shape in the sun kissed outdoor courtyard from 12pm, entertaining afternoon drinkers and diners in a cool, laid back space with acts such as Edgar Jones, Nick Ellis and Dawn and the Embers taking to the floor. Upstairs will see a more livelier set up with full bands kicking off the party from 4.30pm with the likes of Jo Mary, DUSST, Eleanor Nelly and Pale Rider. Over the last few years 'The Music Manual Presents' has welcomed names such as Blossoms, Purple Heart Parade and Kashmere to Liverpool, showcasing the best upcoming UK talent.